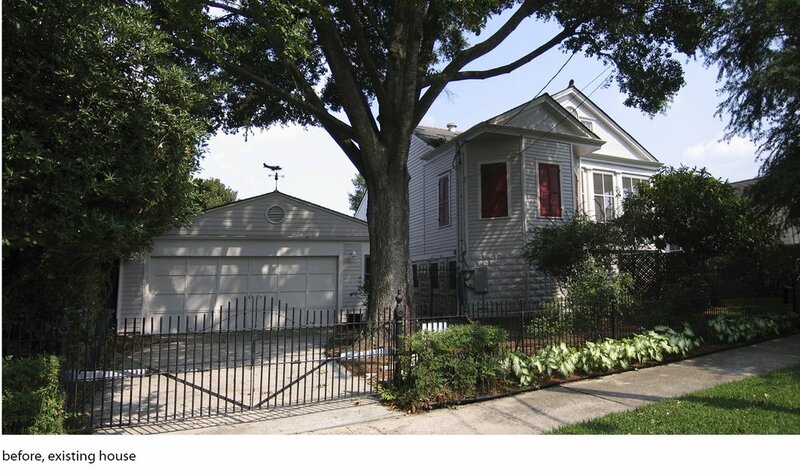 the clients for bild’s henry clay project owned a magnificent double lot in a treasured neighborhood of uptown new orleans. the existing house on the lot had served as their home for more than 25 years, but the structure was infested with termites and in need of substantial structural repair. as the property was not located in one of the city’s protected historic districts, a decision was made to demolish the existing building to make way for a new residence. however, the city will not issue authorized demolition permits without knowledge of what will replace a structure, so bild was commissioned to develop a design strategy and prepare documents for presentation to the demolition review board. 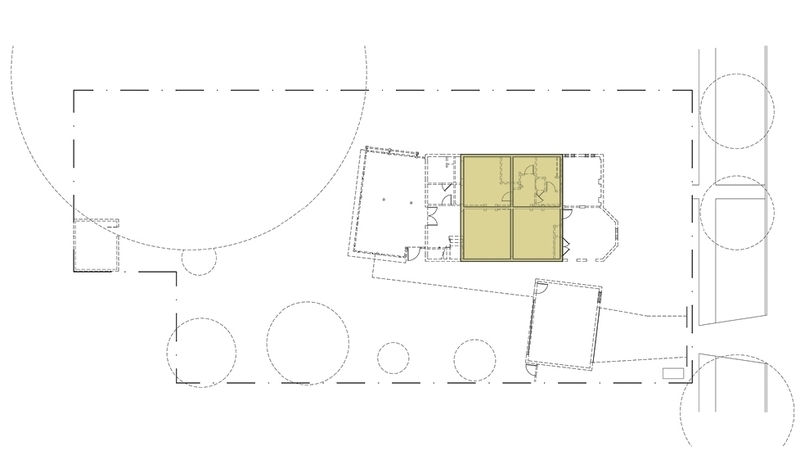 bild proposed a design scheme featuring multiple porch, deck, and screened-in spaces that accommodated the clients’ desire to celebrate their love for their yard and for gardening. neighbors were notified of the request for a demolition permit, and the proposal was met with hesitation by the city’s review board--due in part to neighbors’ discomfort with change in the vicinity, and in part to their opinion that the structure could be repaired, but primarily due to the fact that old sanborn maps of the area indicated that one of the original structures of the neighborhood still sat on that lot. further investigation proved that the old tiny cottage was in fact still standing, buried within more than a century of additions and changes, and the city would not allow demolition to proceed. however, acknowledging that the site is not located within the limits of a protected historic district, the owners were allowed to renovate that structure. this led to a new concept, driven by the requirement to preserve the buried unsubstantial cottage structure, and the decision was made to unwrap and re-wrap the concealed building.